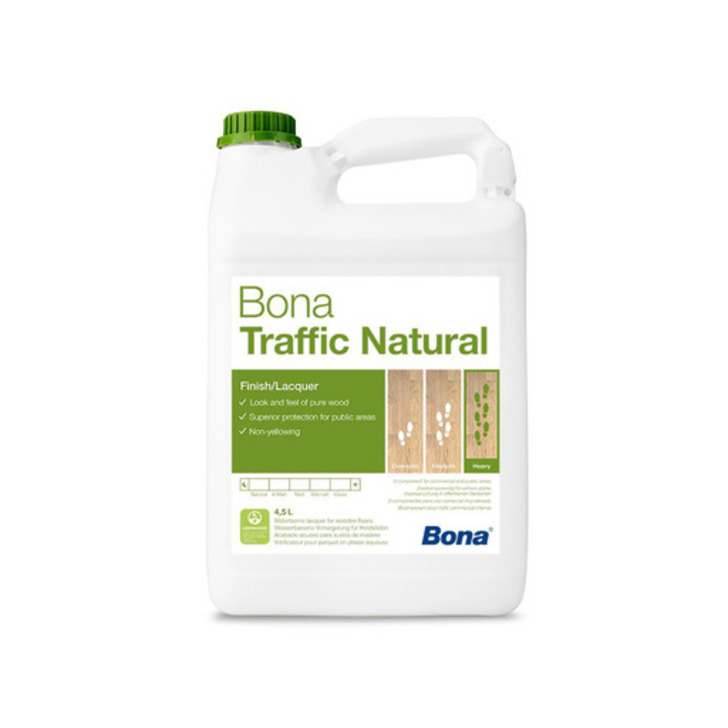 Bona Traffic Natural should be specifed to achieve the look and feel of pure, untreated wood in commercial or public areas. Offers a high level of surface protection for heavily trafficked areas. Combine with Bona Natural primer to enhance the untreated look further.